A new movie is about a plane hijacking, over the Atlantic. Why couldn't the jets do that within 1 hour on 9/11? Liam Neeson stars as a Federal Air Marshall on a flight from NY to London. Within 20 minutes of being called, the fighter jets from the USA intercept the airliner. 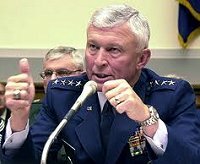 Why couldn't NORAD intercept any of 4 planes within an hour within the USA borders? The fighter jets should have forced the hijacked planes to the nearest air field. Why did everyone who should have stopped the planes get promoted? No one got fired or demoted. 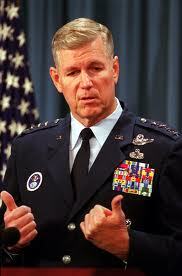 General Richard Myers became Chairman of the Joint Chiefs of Staff. Did they do the mission the White House gave them - to stand down? We need a new 9/11 investigation that answers these questions.